The past few months, I've been thinking about hospitality in the home. We've hosted some small gatherings, an idea that used to overwhelm me to no end. I know I'm not alone on that one. Hospitality is something a lot of us think about during this time of year, and it's a topic I hear many ladies say they find to be a struggle. It always was for me, but in recent months, I've been getting fearless about it. Now, if you are of the cleanliness is next to Godliness tribe, I encourage you to find something else to read immediately. You won't want to hear how I have honored some guests in a very intimate way when I invited them over without having thoroughly cleaned the house. Sure, I gave the bathroom a quick wipe down and hid a few obvious signs of calamity, but there was a front step littered with rocks and leaves, dust, an entryway shoe mountain, and a growing toy pile in the living room. About the latter, I figured children were coming too and what was the chance they would mind? That prophecy was fulfilled and they didn't mind the toys one bit. I'm not joking when I say I was honoring our guests in this way. When I am open to, let's call it, rogue hospitality I am communicating that I trust you enough to show you who we really are and to welcome you in our home in the same spirit as a family member who is dropping by for a visit. You are being shown our life in its unpolished glory. In a world of carefully edited imagery, and calculated online personas, how refreshing it is to be invited into the sacred space of the genuine? It is an innate craving to find fellowship and comfort with the familiar and relatable. To present the spotless standard to which others may aspire is a lonely mirage. To live it is vanity. So I'm going to dare to continue to make more memories in my small imperfect space that some days may look more pecked than impeccable. Who knows? Perhaps rogue hospitality will become fashionable in its own right and we recovering perfectionists will all show appreciation by raising our plastic cups and recycled jam jar drinking glasses to a new era of the bona fide. Now that I think about it, I can't imagine a better time to practice rogue hospitality than this time of year. It played a part in the very first Christmas when a newborn baby laid his head in a manger under some circumstances that were less than ideal but very real. Today, Christians actually take some pride in the humble beginning of the Savior, and we too can extend love in our humble places. I'm sharing a Christmas cookie that has intrigued me for some time. 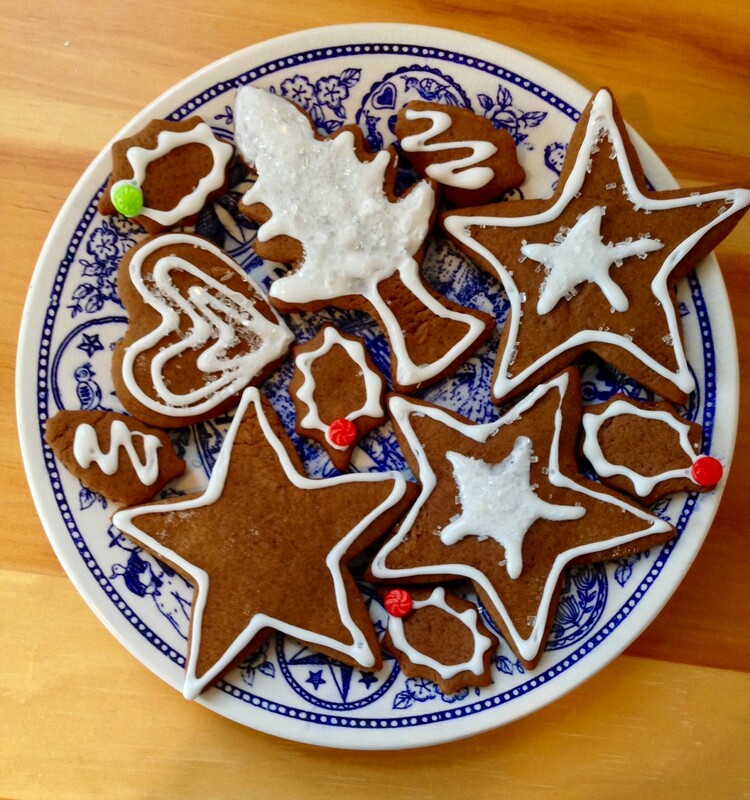 Moravian Spice Cut Out Cookies are a traditional cookie of the Moravians, an ancient German church community. 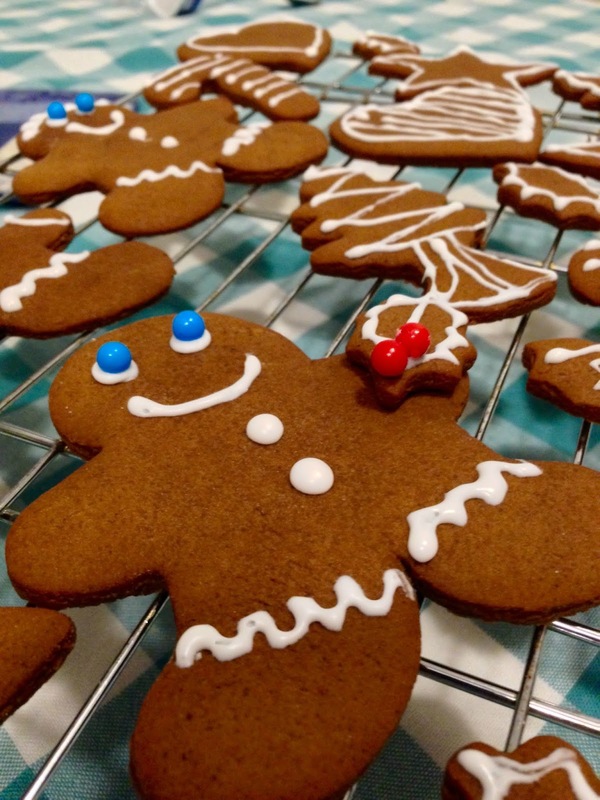 These chewy molasses cookies encompass the best of both worlds: A spice cookie with a flavor similar to that of the traditional German Lebkuchen, but also a perfect dough for cut out shapes. You can even use it in place of gingerbread and make houses with it. It's very versatile, and the best part is that you probably already have all the ingredients on hand for the dough. Just add icing and fun. 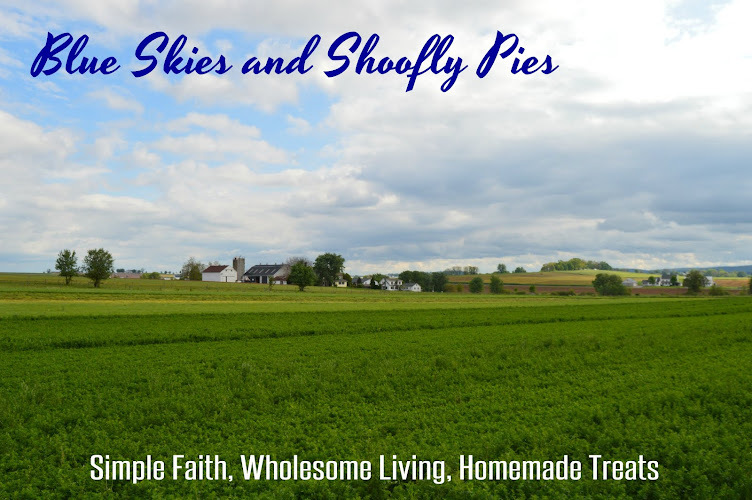 The past few years, I've taken an interest in authentic Pennsylvania German baking and have researched older recipes, including many that are now obsolete. You can usually find several variations of any single recipe. One thing that made an impression on me about the Moravian Spice Cookie is how consistent the recipe is among home bakers. I could find no variations in ingredients or quantities. Some recipes note that these cookies taste best when stored in stone crock for several weeks beforehand. Alas, I have no stone crock. Grandma's antique cookie jar will have to do. Please note: This recipe requires extra time for chilling the dough. Combine first 8 ingredients; set aside. In a large bowl, beat sugar, butter, and molasses until well combined. 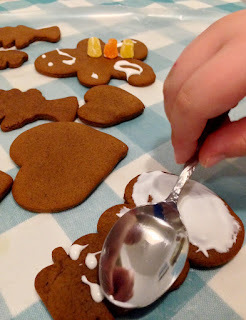 Using a wooden spoon, stir in the dry flour mixture until combined. the dough will be dry and crumbly. Wrap in plastic wrap and chill overnight. Refrigerate until ready to roll out. On a floured surface, roll out dough to 1/8" thickness. Cut out with cookie cutters. Bake at 375 F for 6-8 minutes. Cool before decorating. These are a perfect winter cookie to go with a cup of hot tea. I hope you enjoy them. Let me know what you think! I second your thoughts on hospitality. I used to be one of those people who only knew invited people over when things were “ perfect”and not realistic. Once a group dropped by while I had toys and children underfoot, I had a sewing project going on, and some canning jars setting up. They were thrilled with all the activitiy, some of it was messy. I decided then that this was truly a picture of my home. I try to be as clean as possible, but don’t strive for the magazine shoot. 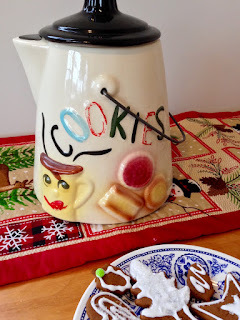 I am making these cookies to go with my cookie plates! Merry Christmas to you and your family, Monica! I like how you out that image of perfection- "strive for the magazine shoot". Ha! No danger of that happening here either. I strive to be clean and somewhat neat, definitely uncluttered, but never too proud to host friends. I hope you like the cookies. Have a very blessed Christmas!